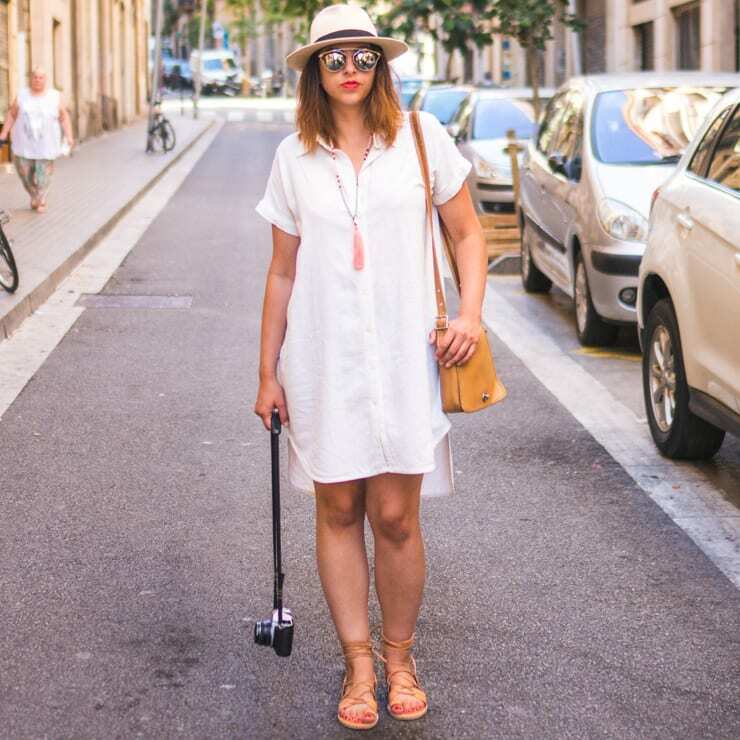 One of the best aspects of a me-made wardrobe is the little details that just aren’t there with RTW garments. 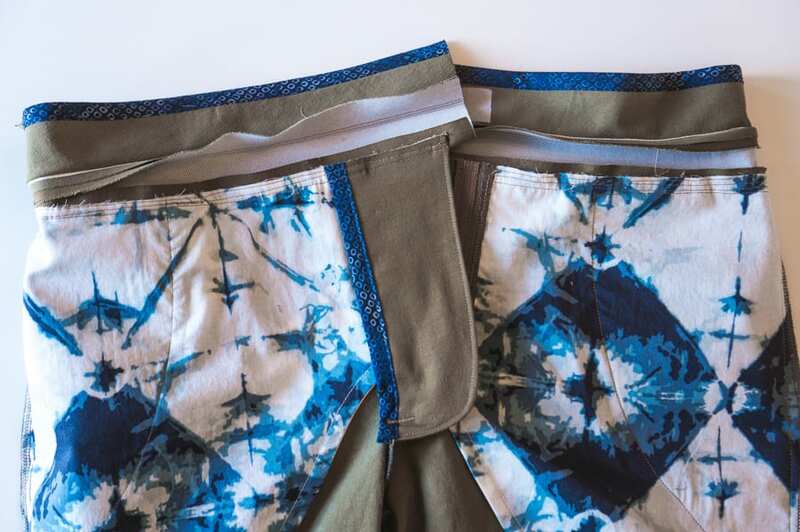 There are always opportunities to personalize the things we make, and while a waistband might not seem like the most obvious place to throw a pants party, it’s actually a great place to create a special detail only you’ll be able to see. 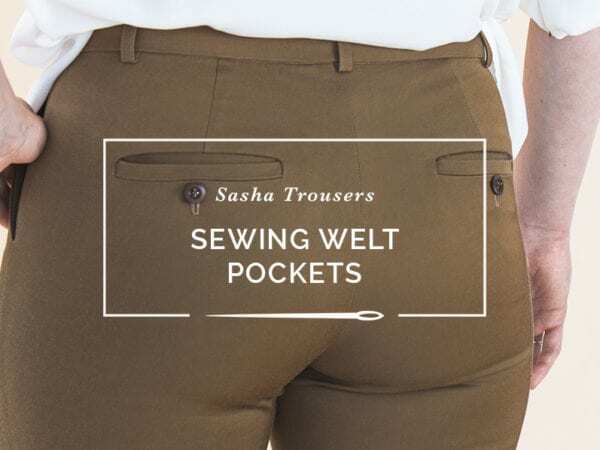 This tutorial will walk you through sewing a beautiful, unique and professional looking waistband for your Sasha Trousers, or any other pants pattern out there. 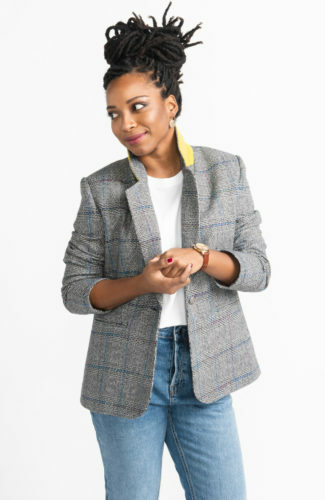 Start with your two waistband pieces. 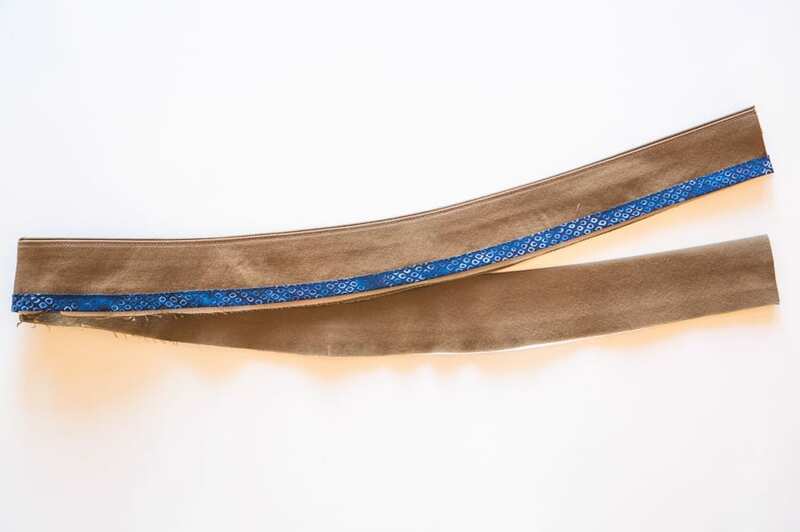 One of the waistband pieces is interfaced – this is the outer waistband and you will leave it as is. 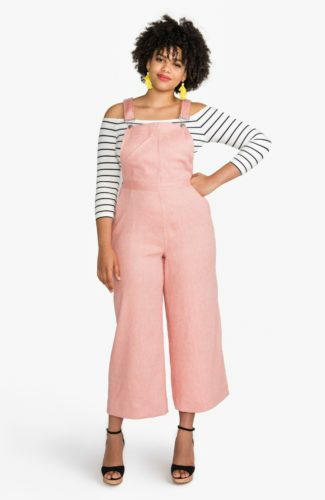 The non-interfaced waistband piece is the facing. 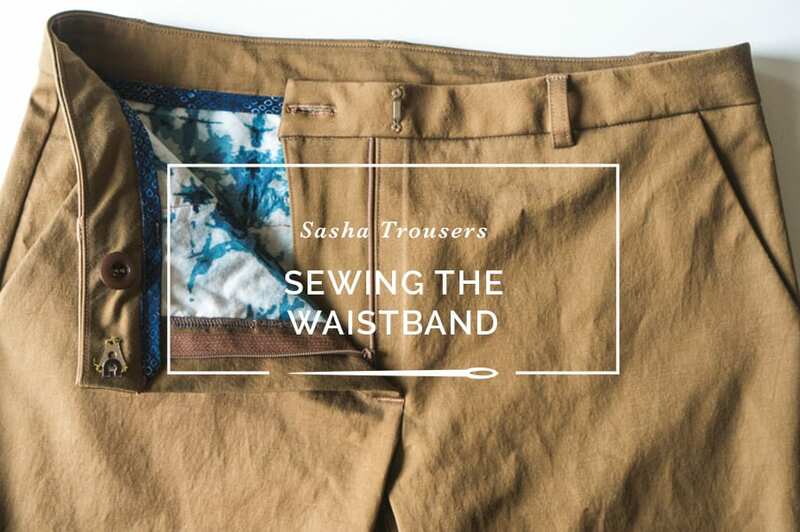 Trim 1/4″ off the bottom edge of this non-interfaced waistband facing. 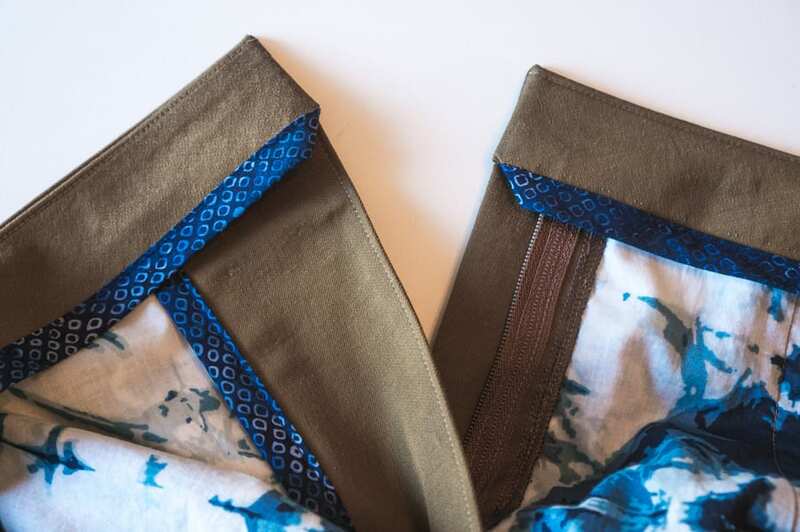 Finish the raw bottom edge of the waistband facing you just trimmed with either a serged stitch or by covering it with bias tape. Now is your chance to use some more of your own pretty handmade bias tape so you’ll have something to admire when you go to put on your pants! 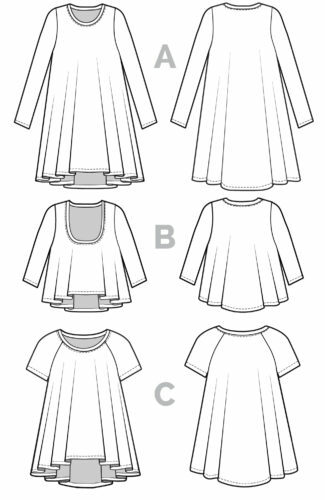 We used double fold bias tape for our example, but you could also use unfolded bias tape and sew a hong kong seam. 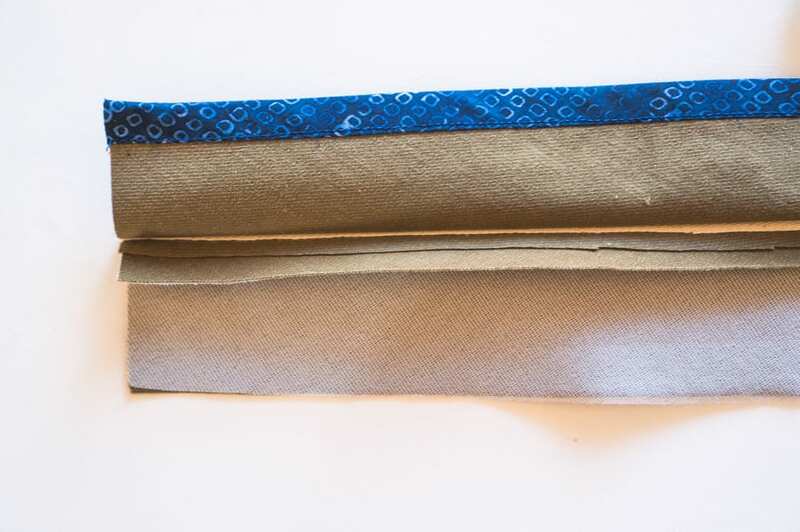 Match your waistband facing to the outer waistband along the top edge and pin with right sides together. 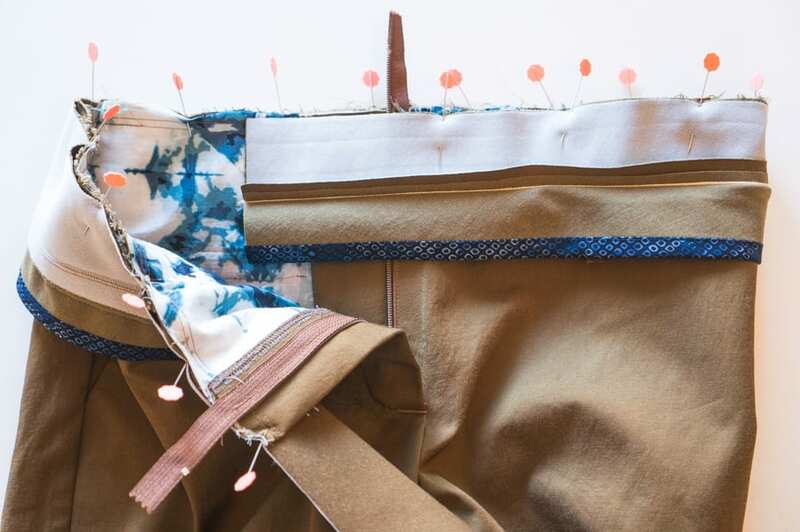 When you sew the top waistband seam, you can reinforce it with some lightweight twill tape. 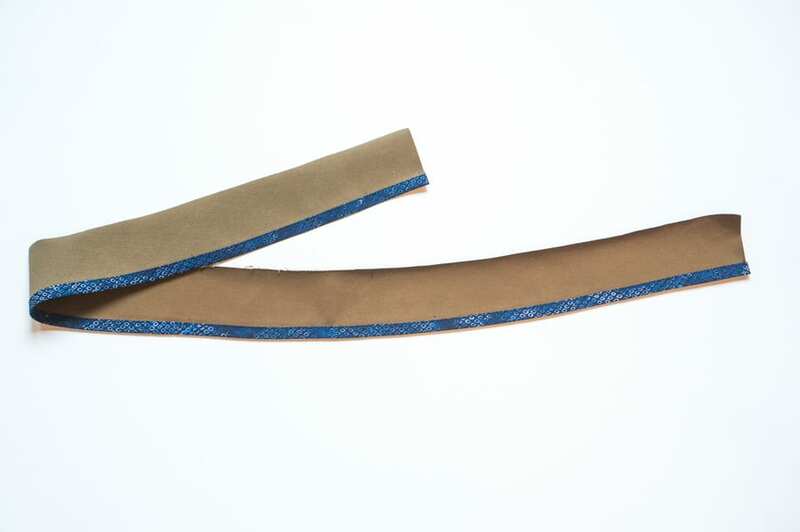 This will ensure a stable waistband that won’t stretch out over the day as you wear your pants. 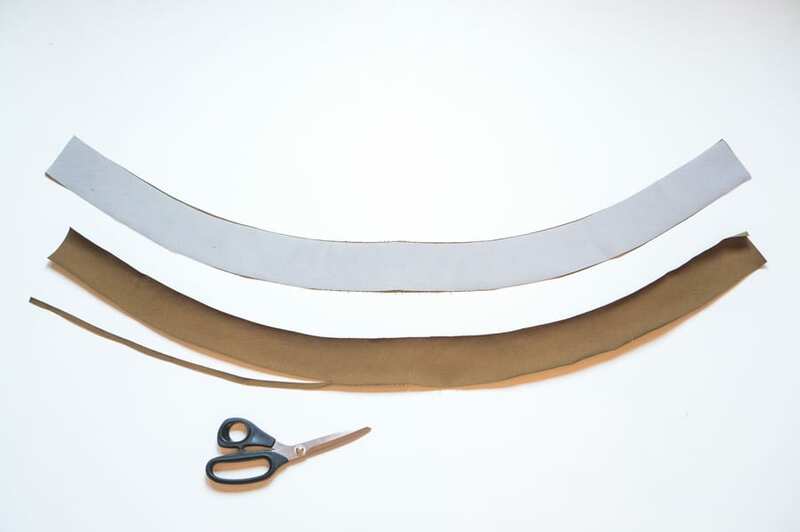 Cut a length of twill tape the length of the waistband. 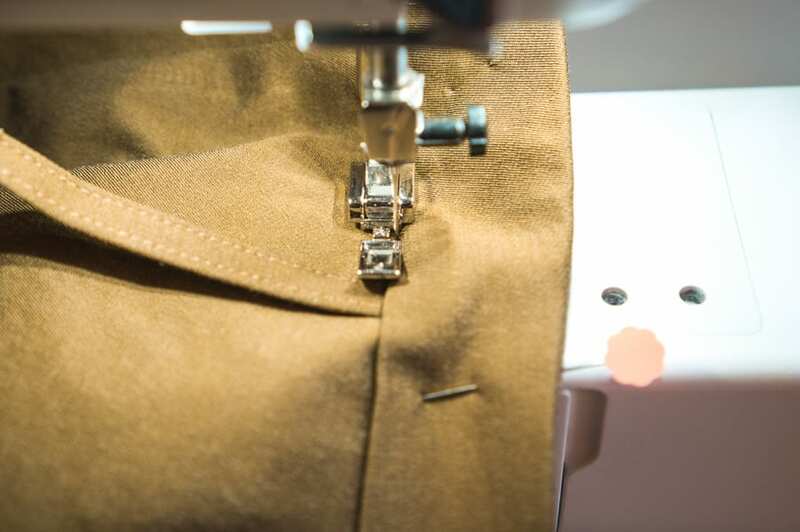 When you put your machine foot down to sew the seam, carefully center the twill tape under your needle, and sew as usual with your 5/8″ seam allowance. 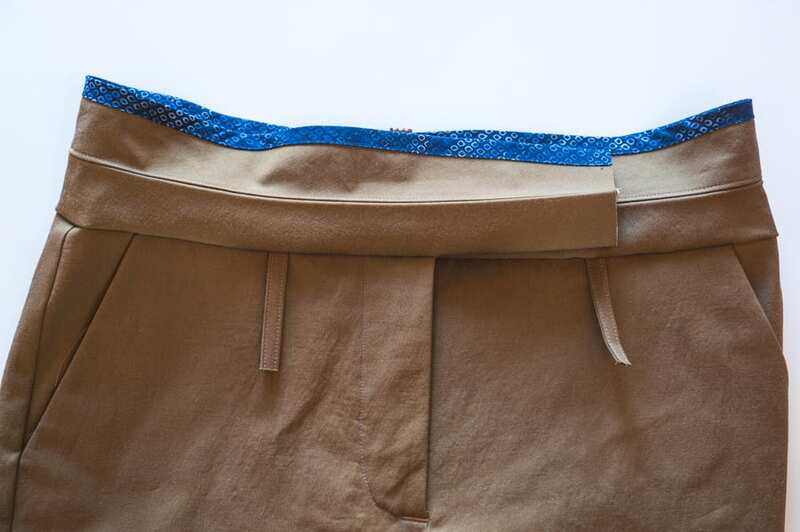 We sewed the twill tape in along the side of the waistband facing, since we want the profile of the seam to be pressed towards the inside of the pants. 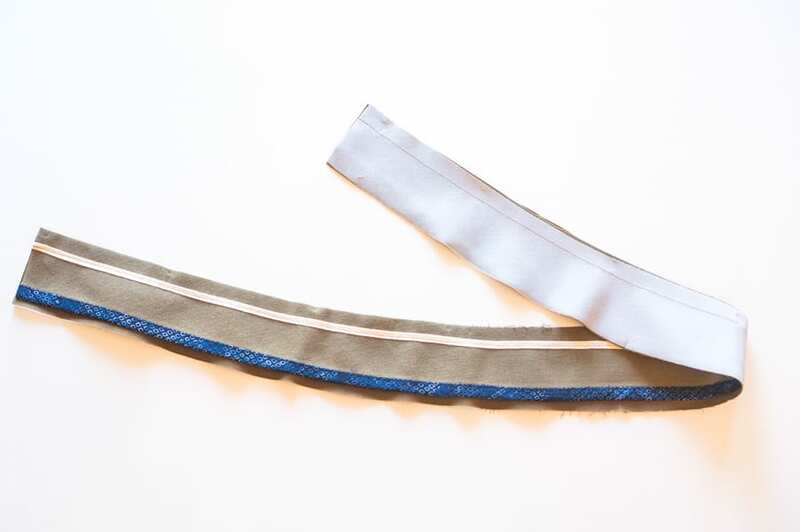 This is what your waistband will look like with the top seam sewn with the twill tape; the waistband facing is on the top side. 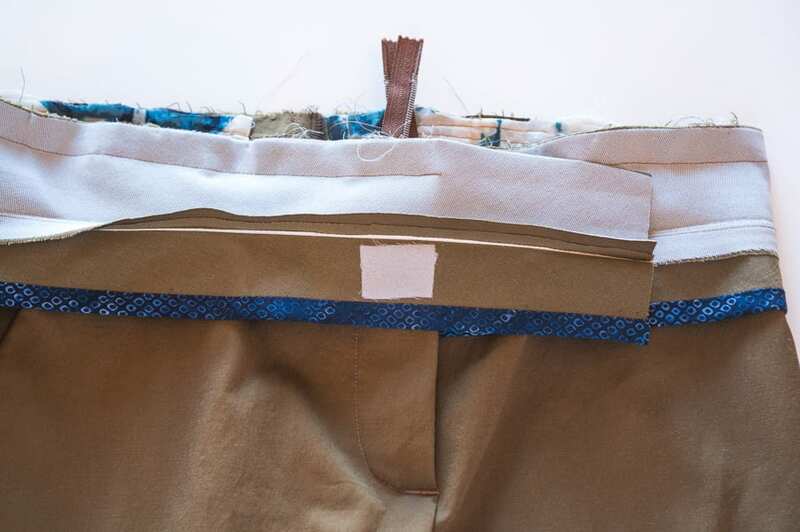 Press the waistband open with the seam allowance pressed towards the facing and understitch along the facing side. 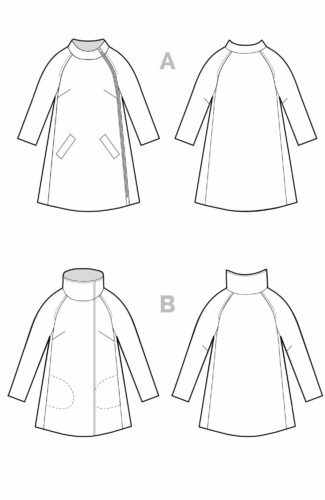 To grade the seam, trim the seam allowance of the facing. 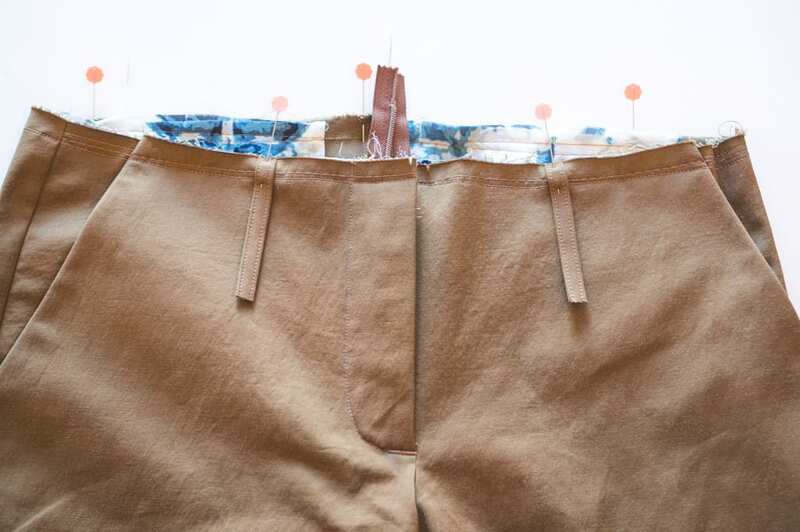 Fold the waistband in half along the seam and give it a good press. 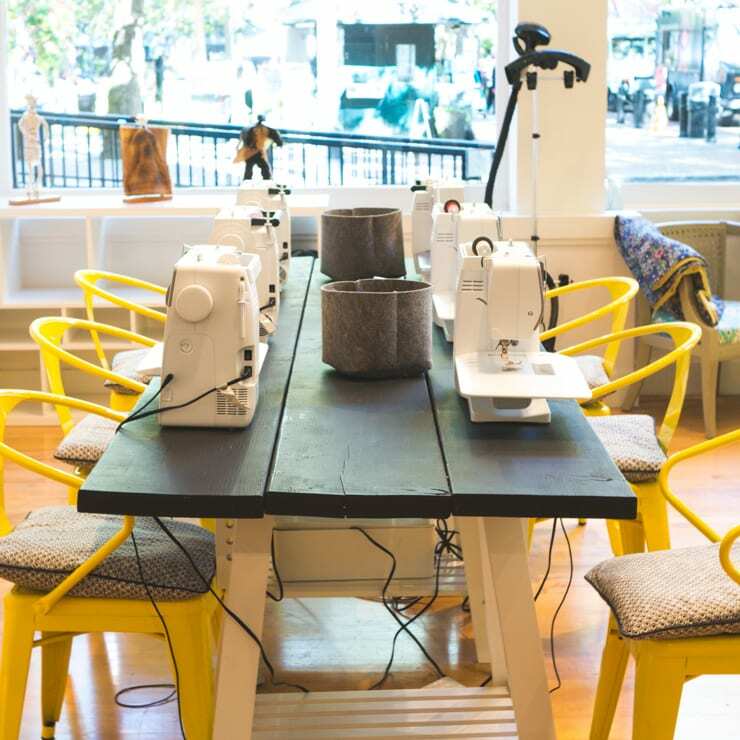 Your waistband is now assembled and ready to be sewn to your pants. 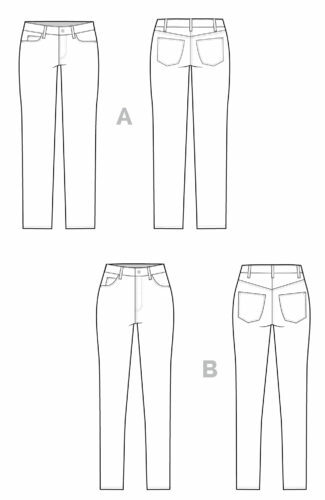 If you haven’t done so already, stay-stitch 1/2″ around the waist of the pants, starting and stopping at either side of the fly front. 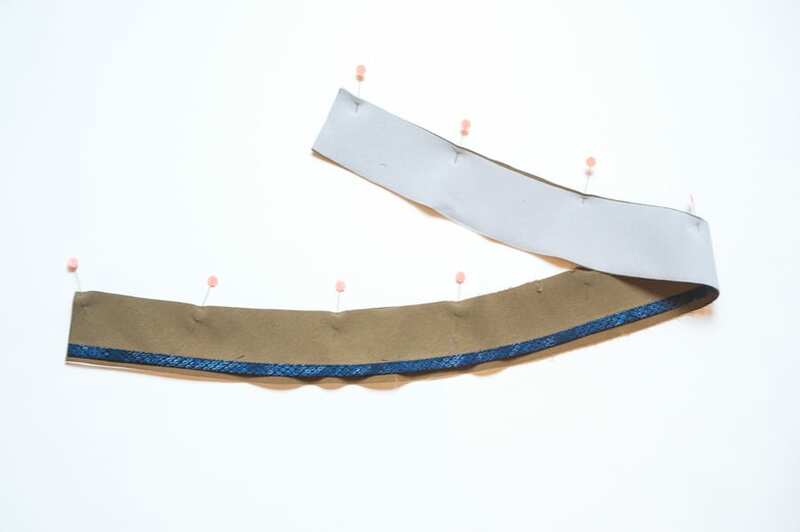 Pin and baste the ends of four belt loops in place at the circle markings indicated on the front and back leg pattern pieces. The last belt loop will be positioned at center back. 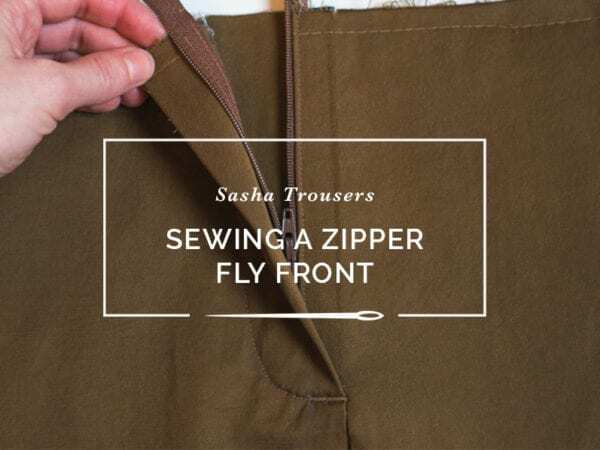 Unzip the fly front of the pants and open up the waistband. 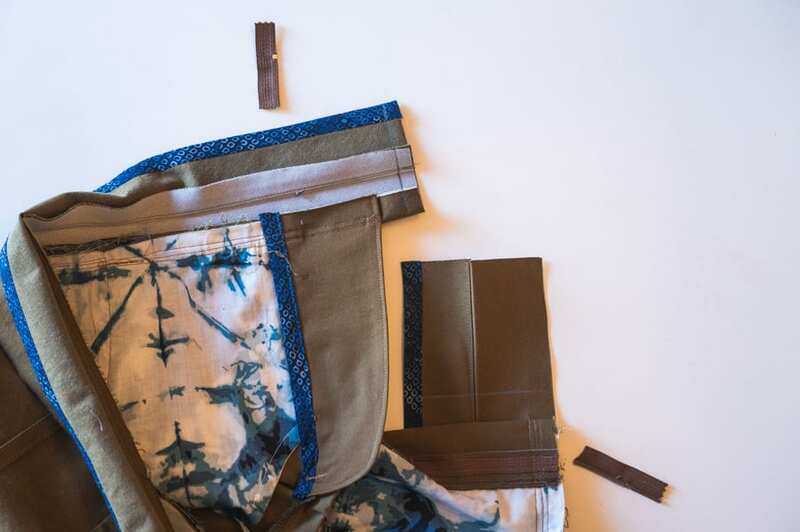 With right sides together, pin the interfaced part of the waistband along the waist of the pants, matching notches. 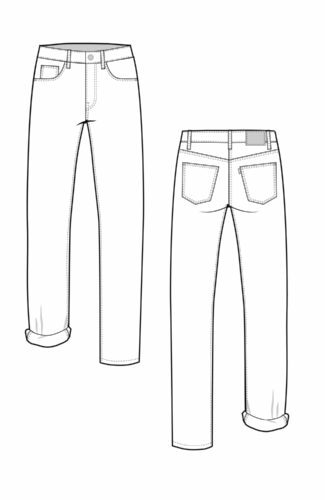 The waistband will be longer on either side of the fly front. 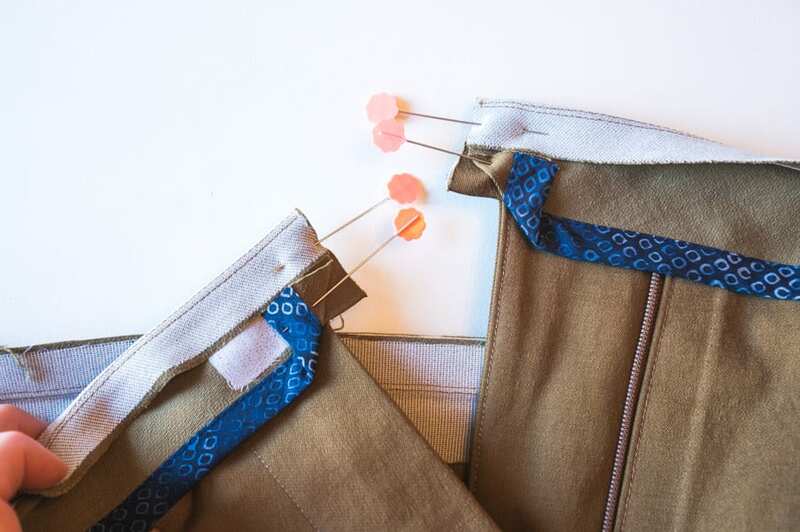 Sew the waistband to the trousers with a 5/8″ seam allowance. The ends of the belt loops will be sandwiched within the seam. 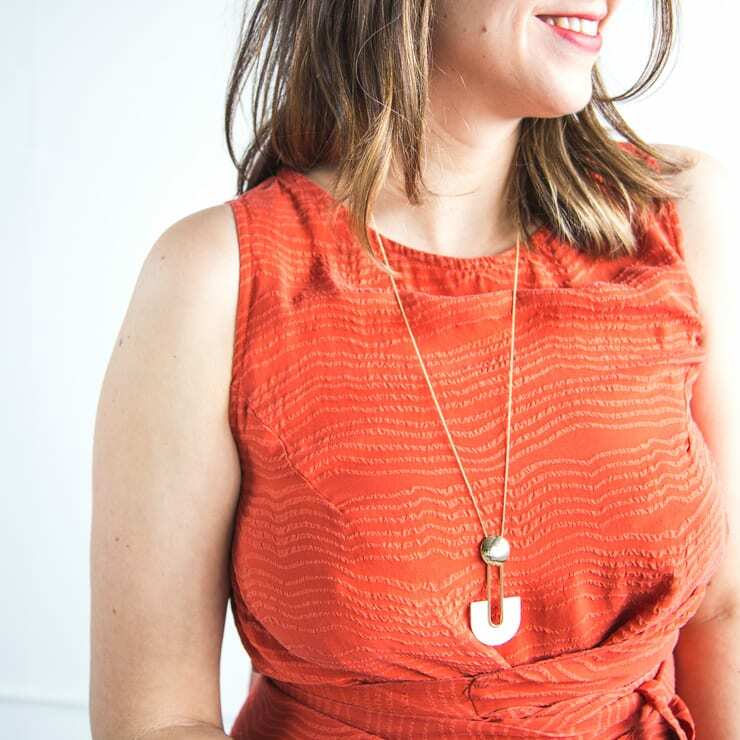 When you do up the zipper, the waistband should meet evenly on either side of the fly. If it isn’t even, now is the time to rip out a few stitches and readjust as necessary. 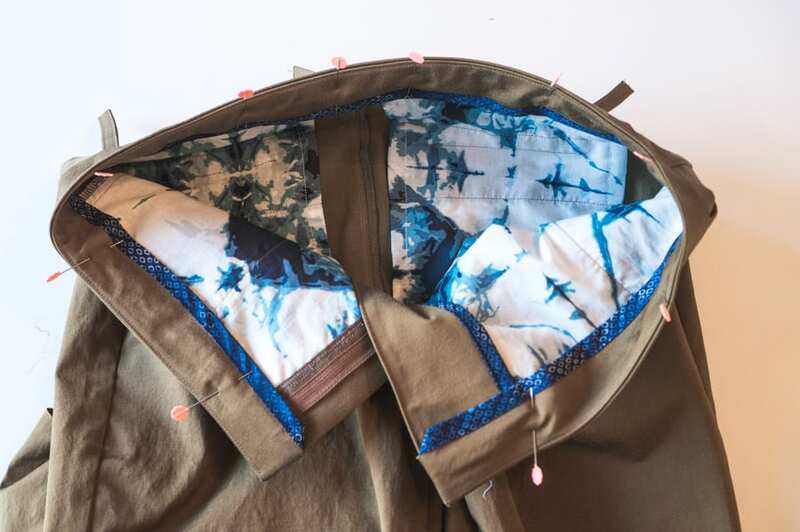 Fuse a scrap of interfacing to the waistband facing to reinforce the area where the hook closure will be sewn. 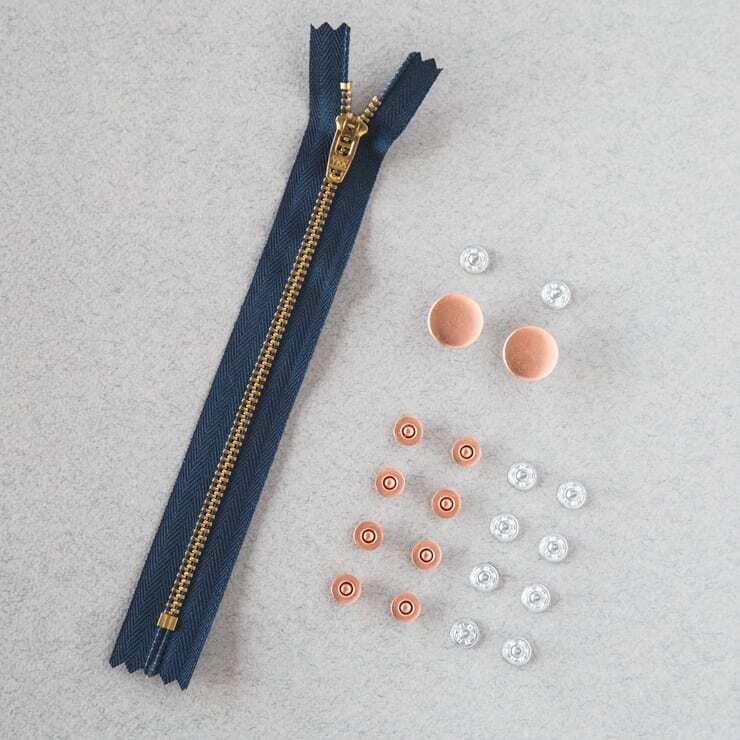 If your zipper was longer than your fly front and the zipper teeth extend past the waistband seam allowance, trim the ends down with sharp scissors and remove the extra teeth with pliers, if necessary. 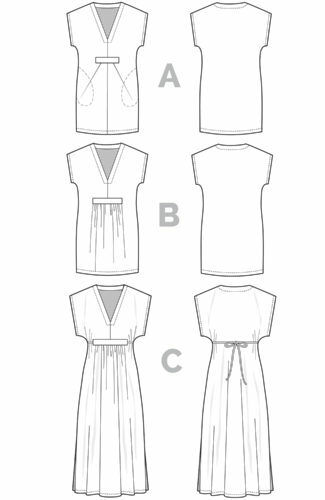 Trim the ends of the waistband down, leaving a final seam allowance of 5/8″ beyond the edge of either side of the fly front. 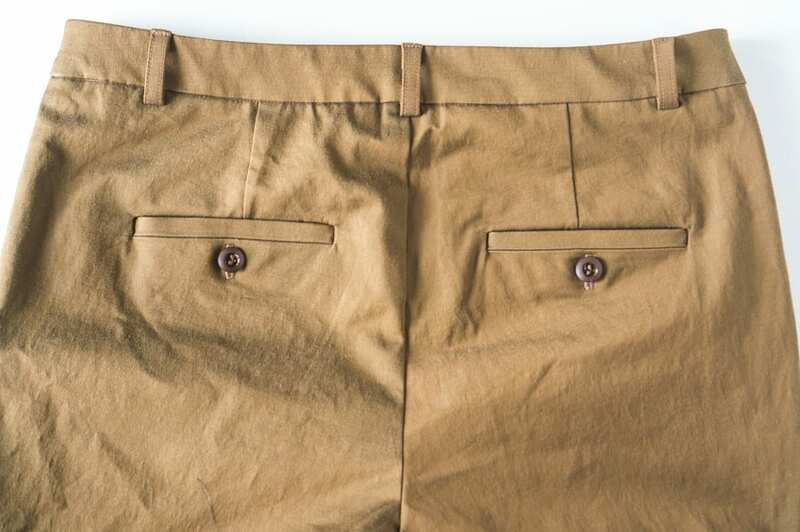 The seam along the waist of the pants should also be pressed up and graded. 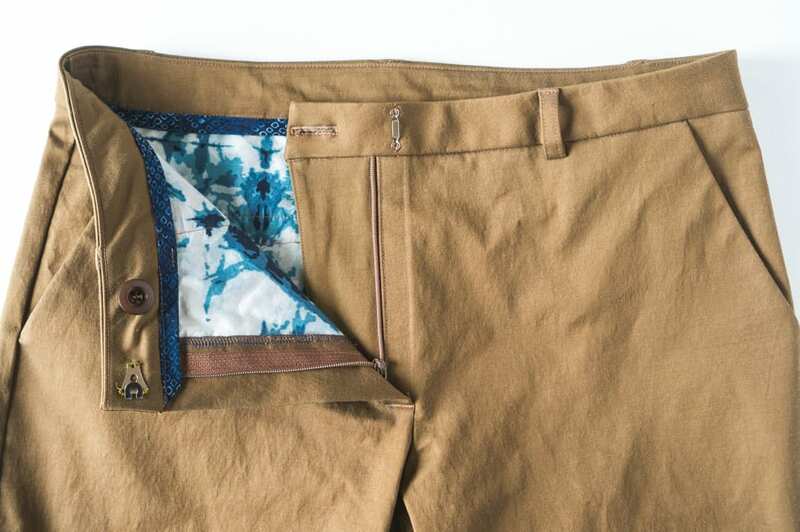 Turn the waistband inside out. Fold the bottom corner of each facing up at 45 degree angle and pin in place. 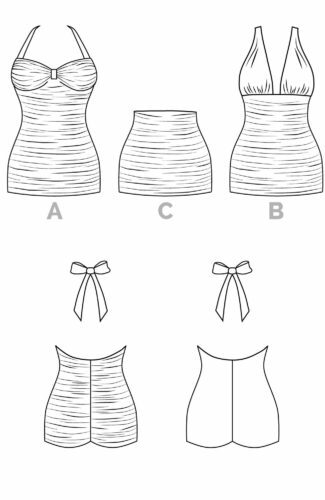 Try to fold the egdes so so that the angled bias tape is not caught in your stitch line. 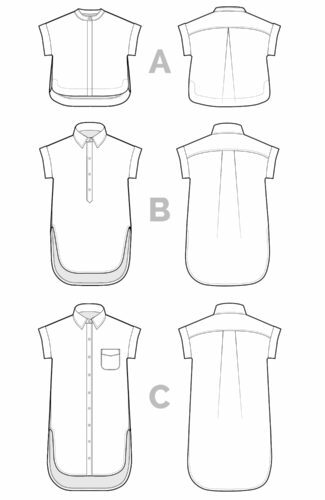 The top seam allowance of the waistband should be folded towards the side of the facing. Sewing the seam in place like this will ensure it is in the right place when we turn everything right side out later. 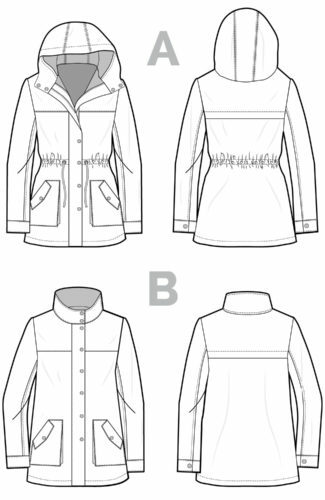 Stitch the outer waistband and facing together directly next to the edge of the fly front. 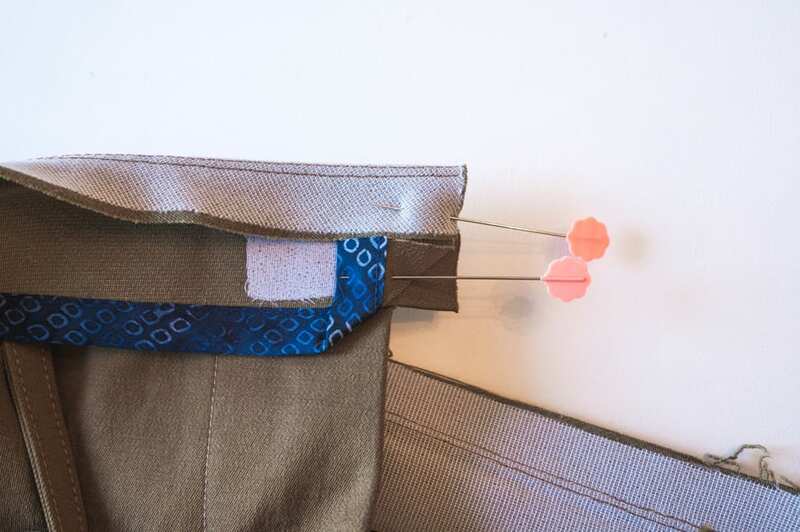 Clip the corners so the waistband can be neatly turned right side out. 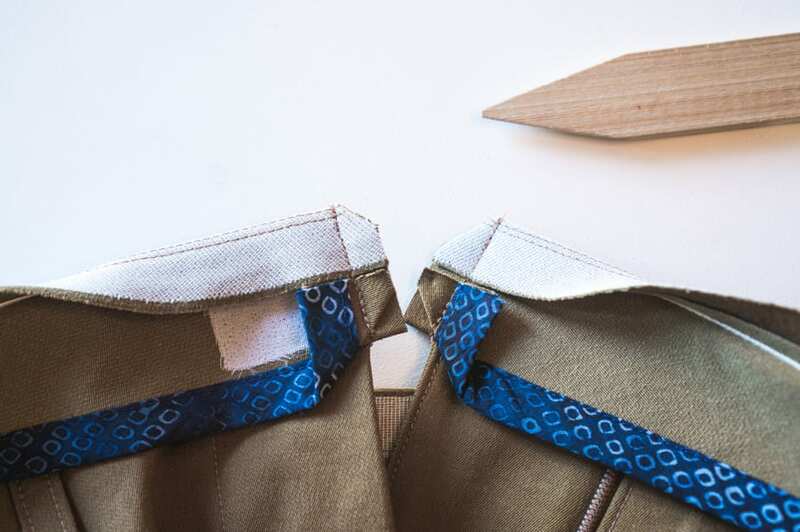 With the help of a point-turner, turn the waistband right side out and press. Turning the facing edge at 45 degrees creates a nice, neat finish with the bias finished seam. 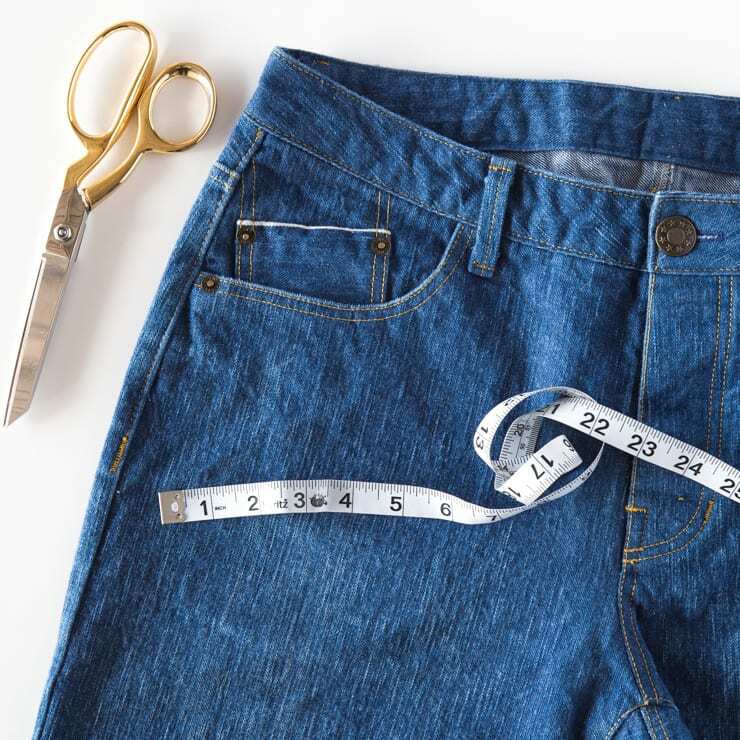 Pin the waistband facing in place around the circumference of the waist of the pants. 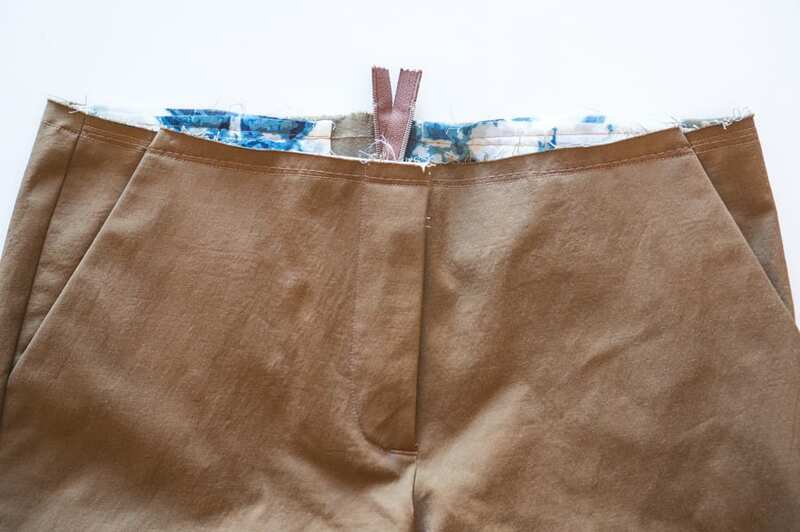 The bias-finished edge of the waistband facing will hide the waist seam you pressed up earlier. 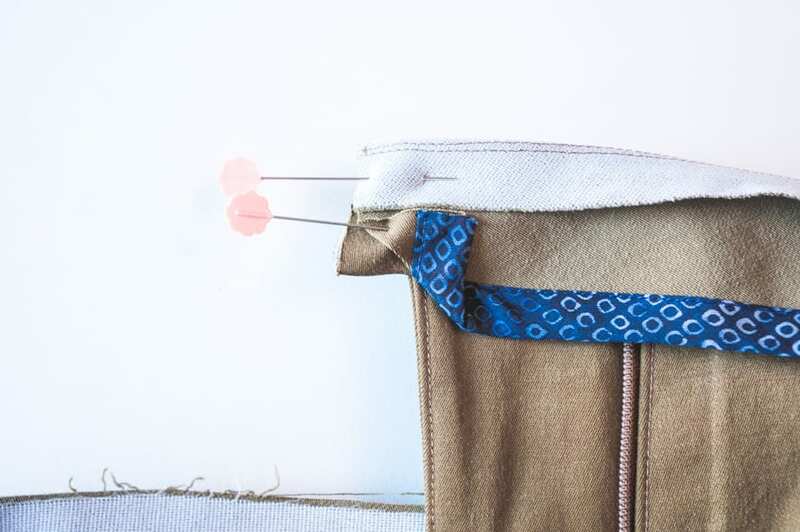 To secure the facing in place, stitch in the ditch along the waist seam. 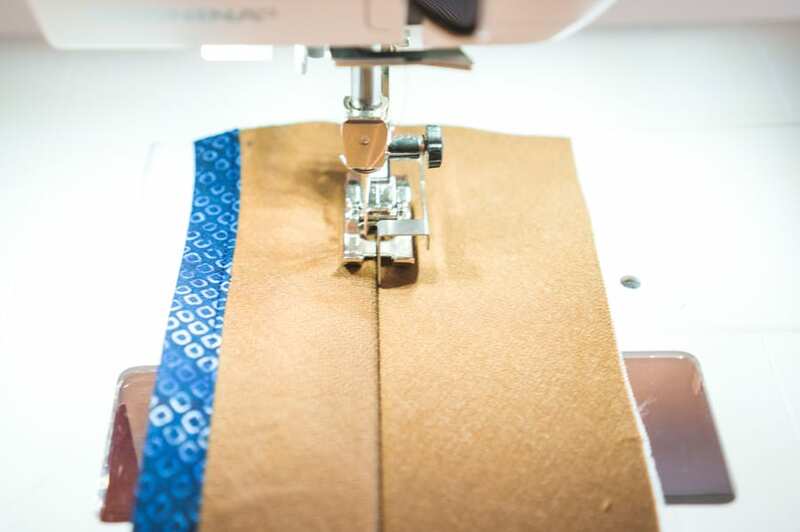 We like using a zipper foot or edge-stitch foot to help us sew directly on the seam line. 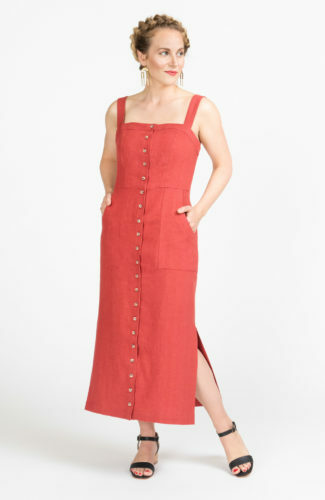 Go slowly when you reach each belt loop, since you will be sewing through a few layers of fabric. 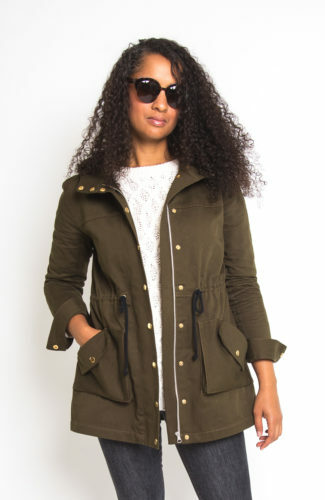 Be careful when you sew over the ends of the zipper as well. Time for the finishing touches! 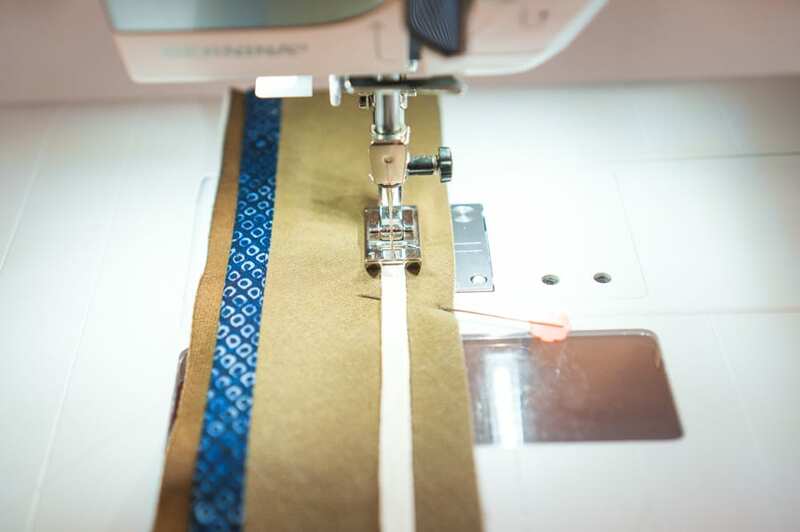 To finish your belt loops, stitch them down 1/4″ below the waist seam, then press them up. 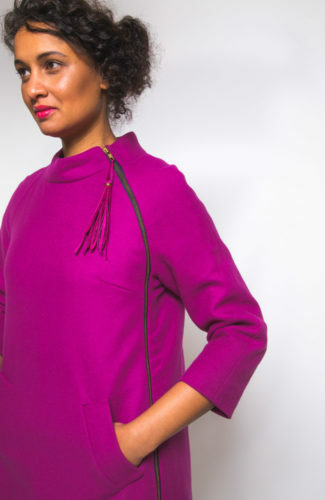 Fold the top part of the belt loop so it aligns with the top of the waistband and topstitch in place. 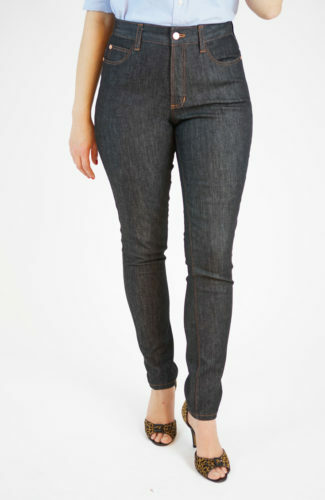 Trim any excess belt loop as necessary. 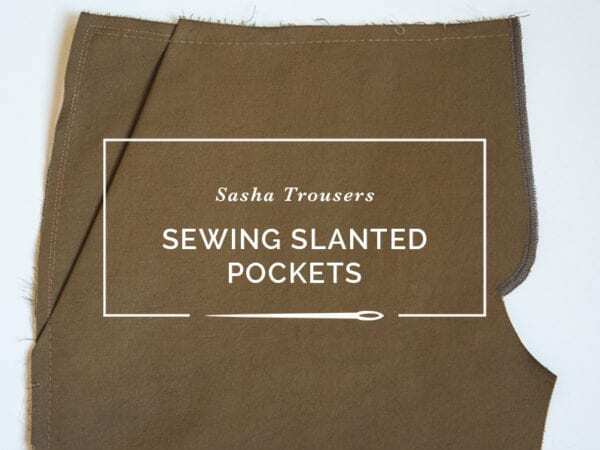 Make a buttonhole along the inner edge of the waistband and sew in your button and hook and bar pants closure as indicated in the Sasha Trousers instructions. 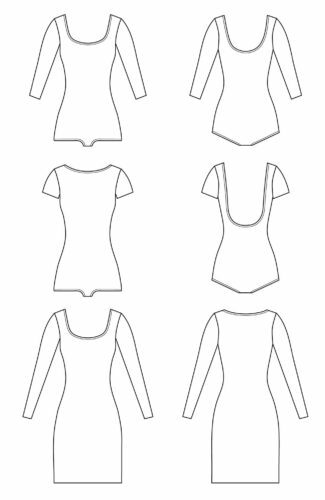 If you don’t have an invisible pants closure, you can also just use a regular button for the outside closure. Congratulations! Put on your new pants and take them for a fancy pants dance!